You can imagine that when you design calendars, sometimes you end up with a few extra at the end of the year. This year a good friend made a great suggestion. 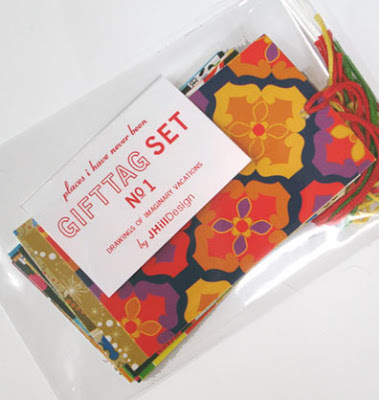 Recycle the calendars into limited edition gift tags, so that is what we did. 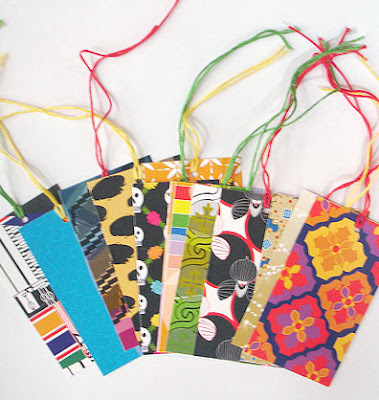 Each gift tag set includes 12 tags, a different pattern for each, with a colored ribbon for hanging. Besides adorning holiday gifts they would be perfect to add color to a Christmas tree. They are available on JHill Design's etsy store for $8.00 a pack. There are only a few to go around so act fast! These are amazing, Jill you have such a good eye for color! !